The Gambler’s Fallacy is finding an edge that will result in guaranteed winnings at the casino. Commonly, its when you look at a run and are certain the next time it has to go the other way. 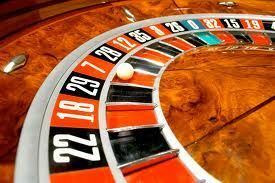 A good example is when black is hit 12 times in a row on a roulette wheel and the gambler makes the deduction that its got to come up red soon, so they bet red and then double their bet each time until it hits red. This is a good system, if you have millions of dollars to lose. The problem with this concept is its still roughly 50/50 every time you spin the wheel as the ball and the wheel have no memory of the last color that was hit. There have been runs of 20 or more going odd or even, red or black or 1-18 or 19-36. If you start on the 10th spin and bet $100 you will need to have $102,300 just to survive 10 spins where it does not go your way. That’s a lot of money to risk just to win your original $100. Still, if you look at that same wheel, over the course of 10,000 spins, you will find that it goes one way or the other about 50% of the time. That’s because you have a large enough sample to eliminate the randomness of a long streak like when it comes red 20 times in a row. Leads also have mathematical probability. Its why you ask about conversion rates when you call a potential lead provider. The problem is statistics require large numbers. How many of you have said this to a potential lead provider “I’ll know what your leads are like within the first 10 leads…”? We get that every week. The fact is, and it does not matter who’s leads you are buying, you have no way of knowing how good or bad the leads are by only getting 10 leads. With 10 leads you will only know how you did with those 10 leads and you will have no indication of the quality of the source. In fact, for you to get a real determination of what close rate you would end up with, you would have to test about 566 leads out of a population of 10,000 before you were within 4% of the actual close rate you would get if you received all 10,000 leads. In practical terms, this means if you test 566 leads out of a population of 10,000 leads and end up with a 10% close rate, that your ultimate close rate could end up being anywhere from 6% to 14%. I understand its not reasonable to ask people to test 566 leads before they can make a determination of our lead quality, but you should at least test 50 leads. But at 50 leads, your ultimate close rate could be 9% higher or lower. When you see your close rate go down, its highly likely its not because the lead company changed what they were doing. Why you get streaks of “good” leads and “bad” leads. When your close rate is 15% on the last 100 leads, why you don’t make one sale on the next 20.